5:30 PM PT Hirsch’s spokesperson, Robert Offer, tells TMZ, “Emile consumed an enormous amount of alcohol on the evening in question and he has no memory of what happened.” Law enforcement confirms Emile and the witnesses were highly intoxicated and Emile has been cooperative. As for criminal charges, Emile has hired attorneys Blair Berk and Neil Kaplan. 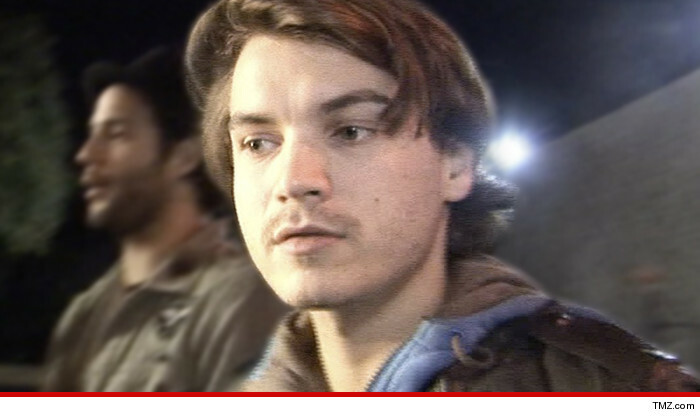 “The Girl Next Door” star Emile Hirsch has been charged with felony assault for allegedly attacking a female Hollywood executive at a party in Utah during the Sundance Film Festival … TMZ has learned. Law enforcement tells us … around 3:52 AM on January 25th, cops responded to an assault call at Tao nightclub in Park City. Then, Bernfeld claims Hirsch “pulled her across the table and onto the floor” and landed on top of her. Bernfeld says 2 bystanders eventually pulled Hirsch off of her. When cops arrived, they spoke with Hirsch who claimed he was in a “verbal confrontation” with Bernfeld and admitted to having 3 or 4 drinks that night. Cops say he appeared wasted — glossy eyes, slurred speech, poor balance, etc. When cops spoke with Bernfeld, they noticed redness on her neck and upper chest — which appeared to corroborate her story. Hirsch was ultimately charged with 3rd degree felony aggravated assault — which is punishable by up to 5 years in prison. He was also charged with misdemeanor intoxication.